All those who have been around the interior design scene for a while may have heard the terms ‘modern’ and ‘contemporary’. These two terms are often used to describe architecture, furniture and the general theme of a home. 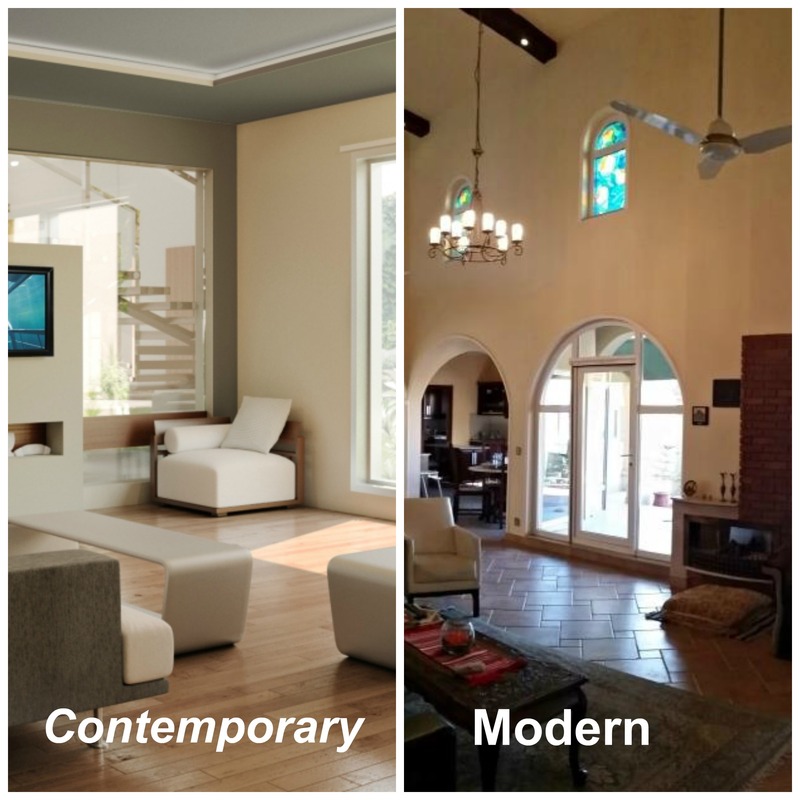 Differentiating between modern and contemporary often gets quite confusing for a layman, owing to the overlapping characteristics of the two. To clarify the difference between the two terms, AmerAdnan has penned down a guide that would help you develop a good understanding of the two decor styles. Contemporary architecture is something that is used right now. It’s dynamic and keeps on changing with the passage of time since it borrows styles and pieces from different eras. Therefore, one cannot tie down contemporary style or theme with something that is designed “right now”. For instance, both traditional and modern artifacts and furniture are used to create a contemporary decor. Currently, a contemporary home may incorporate odd or unique shape large windows with harmony and open plan surrounding. On the other hand, natural elements like stone, cedar or fir would be used for finishing, while the furniture can boast clean lines and in-ornate details. When we talk about modern style or architecture, we are focusing on a static style that is associated with a specific era. If we elaborate the modern style further, we can say that it is connected to the age of machination and encompasses features that are extracted from 1920s-1950s. Some architects are also of the opinion that modern design comprises features from the 20th century. Although it’s never easy to differentiate between a modern and contemporary interior decor, but you can recognize a modern decor from its clean and unadorned features. Also, the use of materials like wood, teak, linen and leather are prominent in the style. Polished metal as well as molded ply and plastic are also commonly used in modern furniture. The white walls, on the other hand, gives an expansive feeling to the modern interior decor that usually have bare floors. In case, the floor has area rugs, they’ll be of wool, and brag neutral shades. However, this doesn’t mean at all that one can’t find hints of colors in moderation.